I'm so excited to be teaming up with some incredible teachers as we hop along and share our favorite things. I was thinking about my favorite things as my husband and I were being asked what we want for Christmas. I thought of a few things, and looked around and noticed that the majority of my favorite things are next to me here in my office. Let's take a look, shall we? Seriously, these are my favorite! If you ask me what I want for Christmas, it's these and number 2. Great for anchor charts but I also mark my quizzes and tests with these. The kiddos love being able to smell a great test - even if they didn't do so well! These pens are phenomenal! I've probably gone through 7 packs this year - and always purple first! These are great for writing comments on assessments and writing solutions underneath the document camera, but most of all these are INCREDIBLE if you teach ray diagrams in Optics. I cannot get enough of these.. hint, hint! This piece of machinery is worth its weight in gold when it comes to decorating a classroom. Many bulletin boards have been made with this. I have some coworkers who will trade me a hot chocolate for letters for their bulletin boards - totally worth it! Even better, use some vinyl to cut letters for your chalkboard or classroom door's window. I just recently got this printer for my birthday because my 10+ year old printer just couldn't seem to print more than one color on a page. This printer is unreal. It's fast, it's wireless and it's smart. It'll print on pretty much anything that I need it to - cardstock, envelopes, colored paper, magnet paper, sticker paper and TABLOID paper! Yes! I now have the power to print on 11x17" in color! Nothing can stop me now! 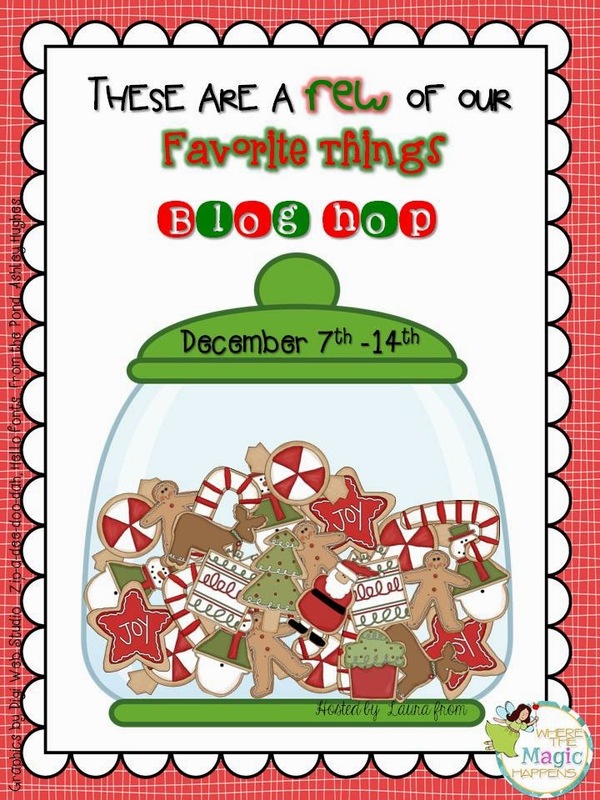 I will be giving away a $25 gift certificate to Etsy as part of the "My Favorite Things" Blog Hop! If you win Prize Pack 6 you'll get this Etsy gift certificate and so much more! There are also awesome goodies and freebies at my TpT store!